On Sunday 9th July 2017 Little Lions and their families gathered to have fun and a picnic. The venue in Staffordshire was lovely in the most beautiful setting, plenty of room outdoors and indoors should the weather not have been kind, but we need not have worried the weather was beautiful all day long blues skies and lots of sunshine. Thanks to a hard working team, there were lots of fun things to do. Fun classes to enter, with thanks to Kathy Begg for overseeing them. Tombola, Craft Stall, Name The Teddy and Guess The Dog Breeds to name just a few. Huge thanks to Jaqui Watts providing a super Agility Course and Wendy Phillips providing a Rally and Kay Sergeant with tips on Obedience and Training for all. 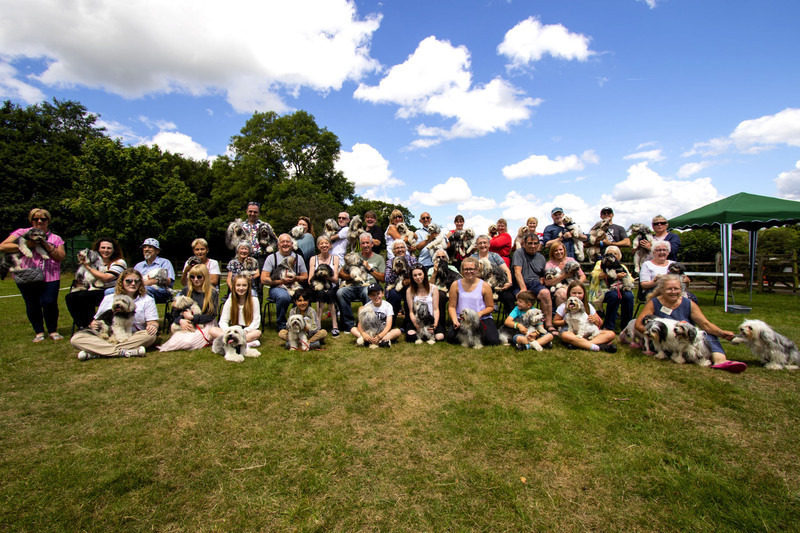 The highlight of the day was the Lowchen Photograph were we had 43 Lowchen pictured together and we managed to keep them all still long enough to get a great shot !! Youngest Lions on the day were Don Brown and Miko Brothwood both 5 months old and the oldest was Teelah Brown age 15 years !! Thanks to Michael Reeve and Kev Saker for taking the pictures for us and to those who helped out also on the day. Then it was on to the picnic, huge thanks again to the team for their generosity providing most of the lovely food enjoyed by all, it all looked wonderful. Gideon & Bibi Edwards. Mark, Raven & Indiana Pascoe, Joe, Vic, Felix, Don & Teelah Brown,Flora Mansell, Blanche, Ebony,Phoebe, Pig & Nancy Bush, Kitty & Feather Sergeant, Daktar Watts, Tiger Fleming, Eric & Ernie Phillips, Heidi & Ralf Hobday, Miko & Lindy Brothwood, Lenny & Brock Mitchell, Tensing Nicol, Oscar Copping, Patsy & Harvey Nicol, Molly & Dexter Chetwynne, Gem Evans, Bertie Orr, Merlin & Magnus Mclocklin, Teddy & Otto Leigh, Jay & JJ Gibbons.